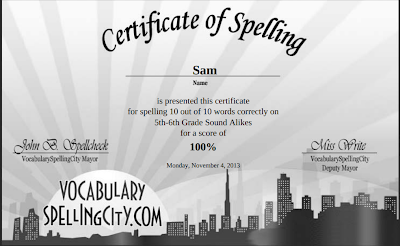 Today I practiced my spelling by taking a test online. 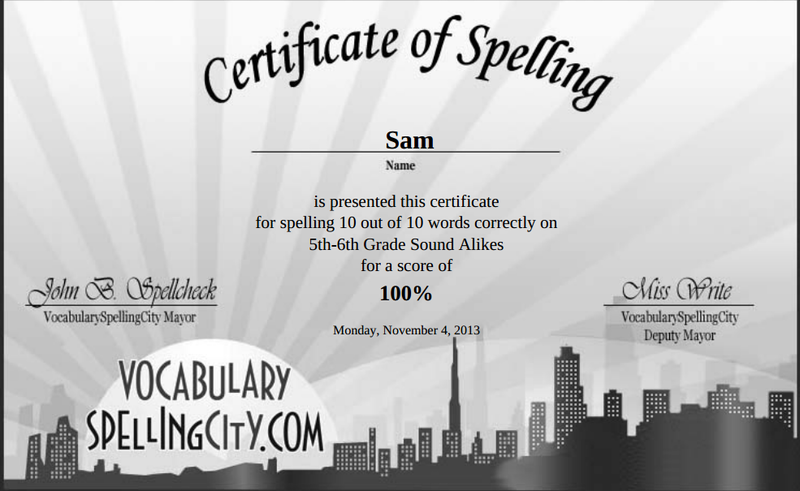 I went on the website called Spelling City. I took a test and I got 100%. I felt very happy about it and I got a Certificate.